Formerly the SILVA Hills Races & also known as the Surrey Hills Trail Challenge. The races did not originally have individual names being known as “A”, “B” and “C”. These terms are still sometimes used. 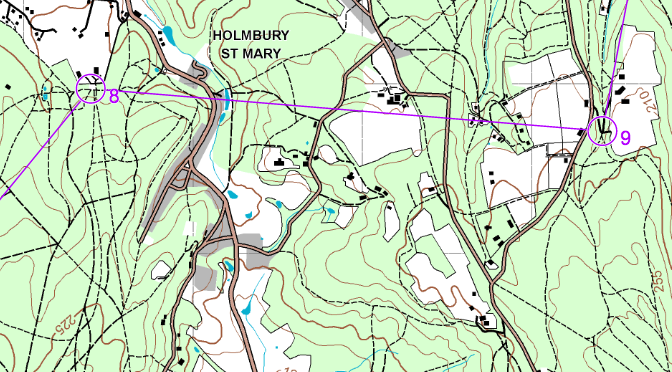 “A” = the Three Summits Challenge, 18 miles, visiting the summits of Leith Hill, Holmbury Hill and Pitch Hill. “B” = the Leith Hill Ten, 10 miles, visiting the summit of Leith Hill. “C” = the Surrey Six, 6 miles, including the double climb of the Nower and climbing Leith Hill as far as Upper Merriden Cottage. Course records shown in bold. * These courses were lengthened in 2001 owing to foot and mouth disease. The Surrey Hills Races were formerly known as the Silva Hills Races.